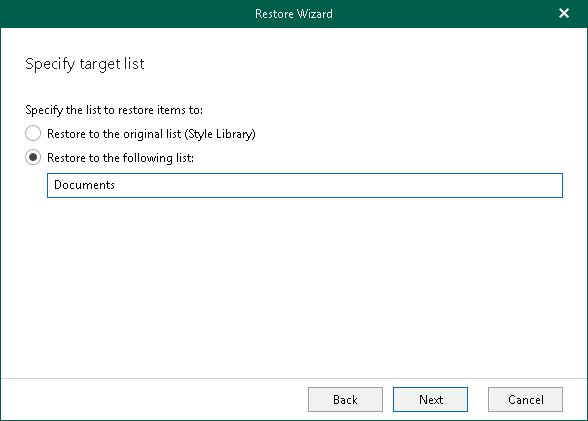 At this step of the wizard, select whether to restore data to the original list or specify a custom one. Restore to the original list. To restore data back to the original location. Restore to the following list. To restore data to a custom list. If the provided list does not exist, it will be created automatically.